This glamorous shopping destination is home to some of the most well regarded designers in the industry. From the fashions of Gucci, Valentino, and Chanel to the jewels of Harry Winston, Cartier, and De Beers, the posh avenues of this area are some of the most chic in the world. Don't miss the shops of Two Rodeo, including Versace, Lanvin, and Tiffany & Co., all located on a picturesque Italianate cobblestone street. 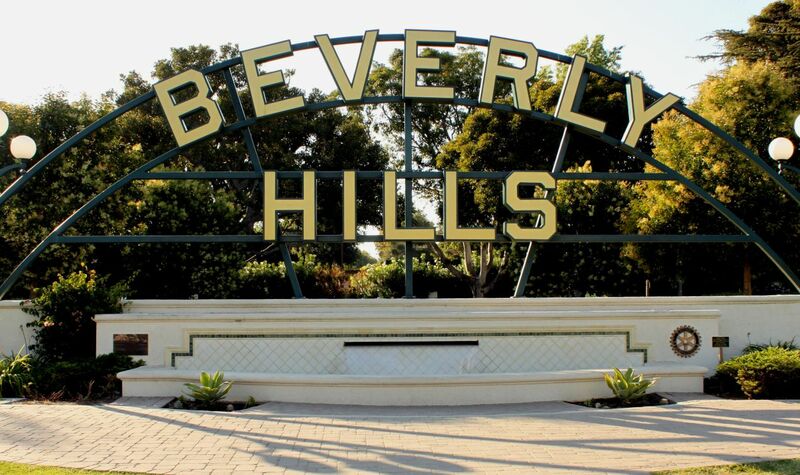 While touring one of L.A.'s most coveted neighborhoods, visit the iconic Beverly Hills sign, located at Beverly Hills Gardens Park, an expansive tree-filled open space with endless photo opportunities. The park boasts numerous notable art sculptures, various specialty gardens including the Cactus Garden and Rose Garden, the Wilshire Electric Fountain, the Doheny Fountain, a decomposed granite jogging and walking path, as well as beautiful arbors. 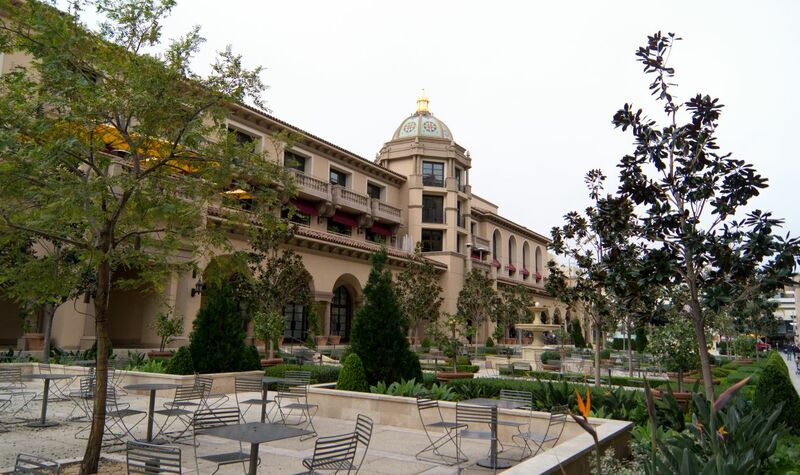 Rodeo Drive is not the only shopping and dining nexus in Beverly Hills. Both Canon and Beverly Drive have a wealth of boutiques and restaurants, including Spago, Wolfgang Puck's epic L.A. hotspot, Nate & Al's deli, and many more. 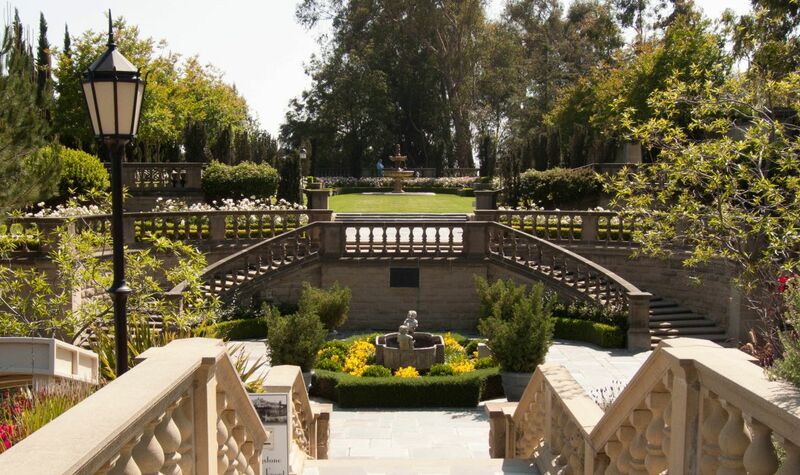 Historic Greystone Mansion, also known as the Doheny Mansion, is a Tudor Revival mansion on a landscaped estate with formal English gardens and a storied past. Tucked away into the hills of L.A.'s most prestigious neighborhood, Greystone Mansion is home to 55 rooms within the 46,054 square feet of living space and can be recognized in numerous films. At the southern end of the "Golden Triangle" is Wilshire Boulevard, which spans the area from Roxbury to Rodeo. 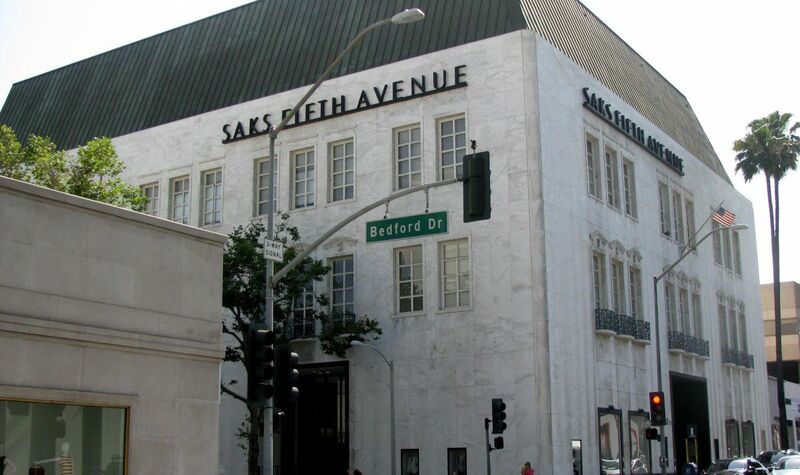 This strip of Wilshire Boulevard boasts Department Store Row, home to none other than Barney's New York, Neiman Marcus and Saks Fifth Avenue. These fashionable blocks also offer such stores as Burberry, Escada Boutique, Mikimoto Jewelry and Niketown. 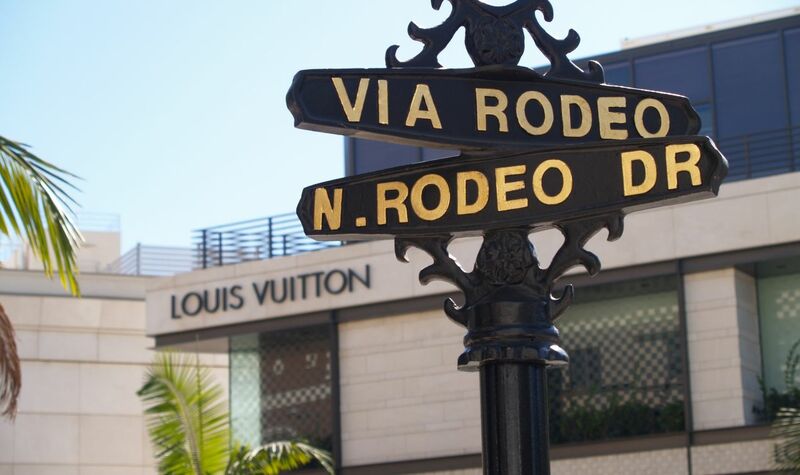 In the 90s, Two Rodeo Drive was created, becoming the younger and more lively of the two famous shopping complexes on Rodeo Drive. 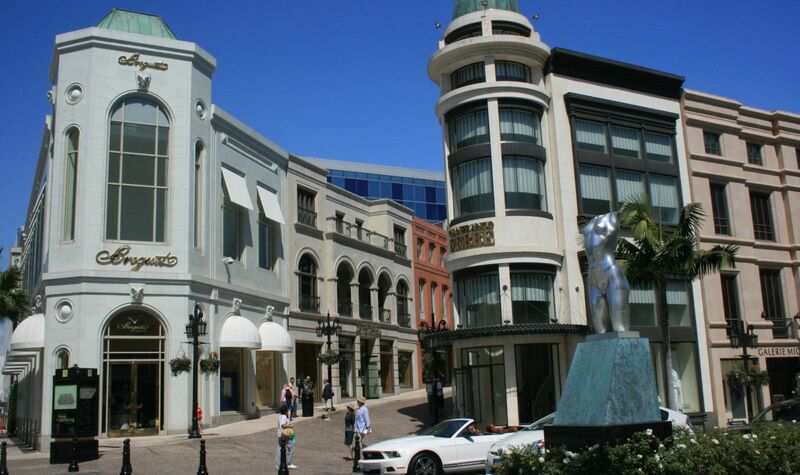 Mirroring an upscale European Shopping Alley, Two Rodeo Drive is lined on both sides with upscale boutiques along cobblestones with gorgeous floral arrangements in between.